Work In India — Robert J. Abramson, D.D.S., M.A., M.D. Eighteen months ago I went to India at the request of my daughter and the non profit organization, Folk Arts Rajasthan. My daughter's organization works with an extremely marginalized group of musicians (Merasi) who, due to caste issues has very limited access to medical care. 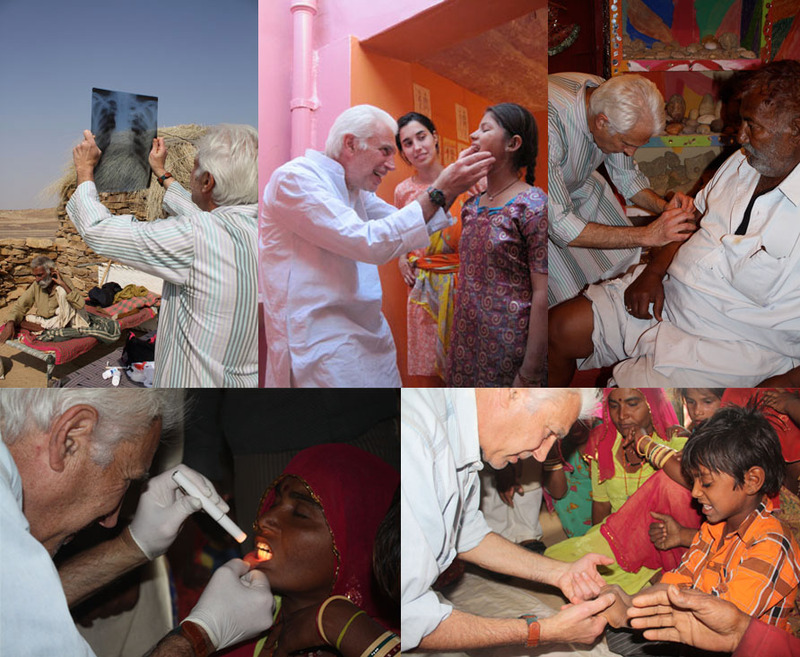 I set up a clinic in the ancient town of Jaisalmer 40 kilometers from the Pakistan border. There and in the surrounding villages I practiced medicine and acupuncture to an extremely grateful people. It was one of the most rewarding experiences of my professional life. I will be returning in October to teach and treat patients. The story, House Call, came out of one of my many memorable encounters.